Amir Khan is one of brilliant student for NEI INDIA DELHI Branch. Amir completed his Film & TV Editing course successfully with complete dedication. Amir is very happy with course & NEI India faculty. He feel very lucky for decision he made. 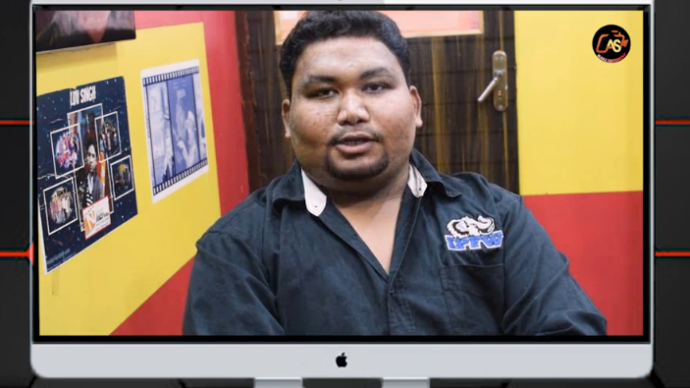 Currently Amir is working with Misostudy India Pvt Ltd as Video Editor. Misostudy India Pvt Ltd is company that engaged in e-Learning education and LMS (Learning Management System) Technologies sectors for 20 years. Amir also created his own Youtube Channel “Amir Studio“. We urged peoples who’re watching this video that don’t believe in fake review circulated by our competitor & Student’s who didn’t completed their course. We wish him a very bright future ahead.